On his first EU summit, the new Italian Prime Minister Mario Monti was one of the protagonists of the long marathon to save the euro and strengthen fiscal discipline in member states. Monti played the role of mediator between the UK and the others, seeking agreement between the 27. Euronews Margerita Sforza spoke to him and first asked him if the agreement reached on Friday is enough to save the euro? Mario Monti: “Well, I hope so. I think so. Anyway we will soon see. It is a significant agreement because it makes it more likely in future that countries will behave in a disciplined way regarding their budgets, so that we will not see these serious imbalances which lead to crises in various euro zone countries. Mario Monti “I want to be quite precise on this. It is not the birth of a two speed Europe because it already exists now or has existed in many different forms, for example there are countries which have signed up to the Schengen agreement, there are those in the euro and those who are not in the single currency. Mario Monti: “Britain’s Prime Minister David Cameron demanded guarantees for the City and to protect it and the country from potential new financial regulations in Europe. This seemed unacceptable to many European leaders as well as myself. Mario Monti: “It is not going to be that relevant because the European market will continue substantially to be developed by the 27 member states. Of course, if the United Kingdom had been at the heart of the euro zone, with France, Germany and Italy, or at least, even without the euro, if the UK hadn’t contemptuously excluded itself it would have been a United Kingdom that counts for more, with more influence. And given that the UK has competition and the single market in its own DNA, staying in would have been a stronger move with benefits for all 27 countries”. Mario Monti: “My position was that the need to increase these funds and that a major “firewall”, as we refer to the fund would not necessarily lead to greater expenses for the countries that contributed to it. The increase of the fund would indeed have been sufficient to prevent market tensions so I believe contributions would not represent a real expense. Mario Monti: “In recent years there was talk of rigour and discipline because in previous decades, before Europe took on a critical consciousness, the watchword was “seeking development at all costs”, even at the risk of causing inflation and public deficit. 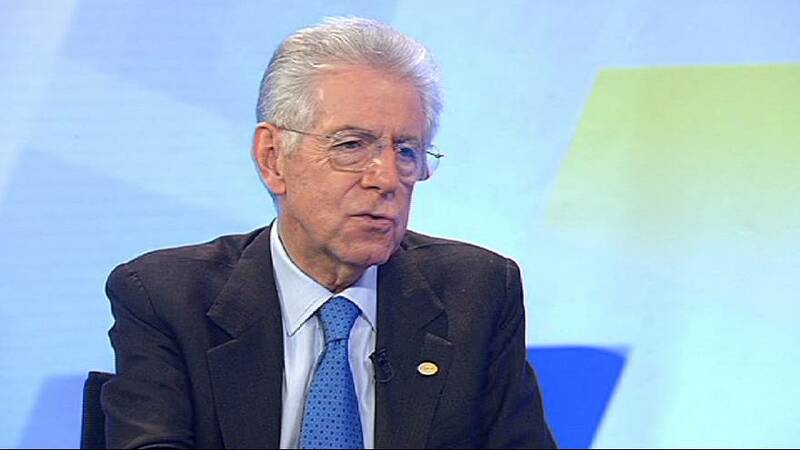 Mario Monti: “I hope and believe that is not the case. Maybe I’m not the best person to give you a neutral assessment, because I am one of those technocrats now working on the inside, so to speak.